Slowinski was announced as the recipient of the 2009-10 Men's Natonal Coach of the Year by the National Collegiate Bowling Coaches Association. Coach Slowinski is the Head Coach of the Webber International University bowling program as well as the Men's Head Coach. 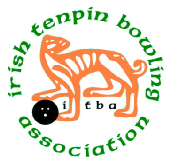 In honor of the 50th anniversary of bowling in Ireland, the Irish Tenpin Bowling Association (ITBA) hired Coach Slowinski to develop a 4 Level Youth Development program. The program was unveiled on a training trip to Dublin in July at the first ever center in the country and the host of the first AMF World Cup in 1965, in Stillorgan. The program is based on fundamentals of human development, biomechanics, research and best practice and is designed to take beginning young players from scratch and facilitate the development of world class players. In the July 2013 Slowinski at-large, I share my evolving insight into making the tiered oval process thumb fitting and drilling process better. 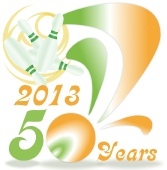 In the June 2013 Slowinski at-large, I discuss the importance of the upper body in bowling. The torso impacts the swing, footwork, the slide and finish as well as contributes to energy generation through foot speed and torso rotation. In other words, the upper body is more important than you think. Learn how in this month's Slowinski at-large.